The Center for Earth and Space Science Education will be temporarily closed to switch out our exhibit. The TJC Science Center will be closed the week of August 28th thru Friday, September 8th in order to change out our exhibit and prepare for the new academic year. 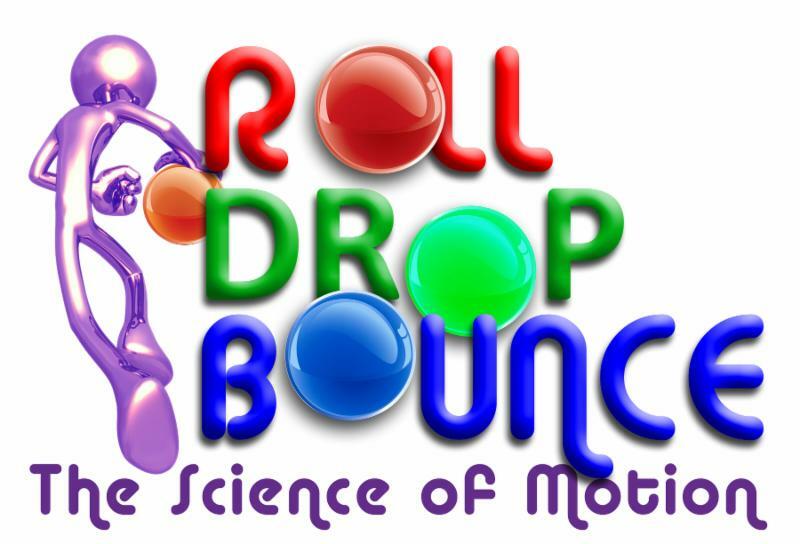 Roll Drop Bounce, the new exhibit will officially open on Saturday, September 9th. This totally kinetic and hands-on experience appeals to the wheel-spinning, ball tossing, and continuously bouncing kids of all ages. The physics of motion is the topic of the exhibit, but the main theme is having fun doing experiments with balls and wheels. While interacting with model cars, colliding balls and catapults, visitors develop an understanding of the science of motion. Admission is included in the price of a show ticket or $3 without a show ticket. Also don't miss our first Star Party of the semester on Saturday, September 9th. We will be having three live shows in the planetarium detailing what is currently visible in our sky at 8:00 pm, 8:30 pm, and 9:00 pm. Telescopes will be set up as well. For more information or if you have questions feel free to give us a call at 903-510-2312 or check out our website! See you for the new exhibit. Don't miss your chance to see the upcoming solar eclipse! The Great American Solar Eclipse is coming soon! 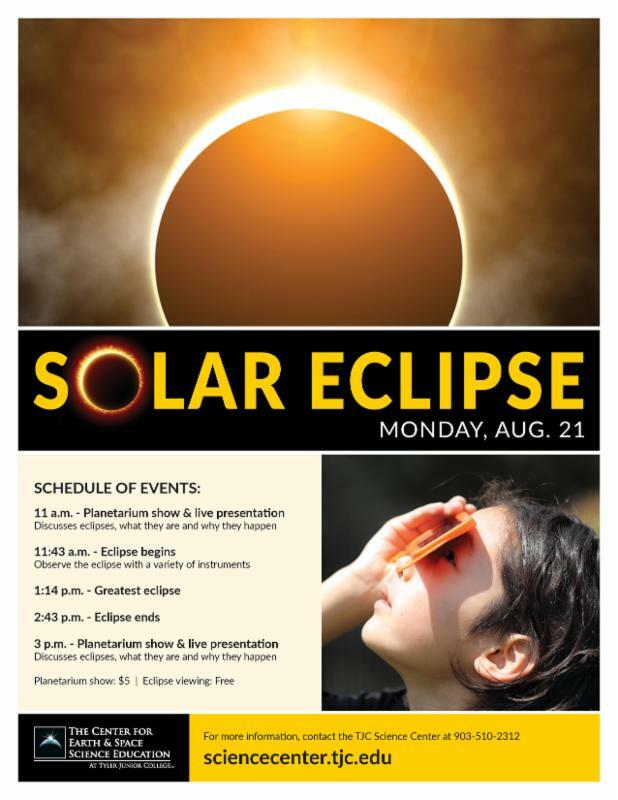 On Monday, August 21st we will be hosting a special solar eclipse viewing party. Our new planetarium show, Totality, will be showing at 11:00 am. You can learn all you need to know about eclipses and what to expect before we start observing the eclipse when it begins at 11:43 am. We will provide means to observe it safely including solar glasses and telescopes with special solar filters. The viewing will last for the duration of the eclipse until it ends at 2:43 pm. Totality will then play again at 3:00 pm for those who can't make it to the first showing. Tickets to Totality cost $5 per person. The viewing of the eclipse is free for everyone and solar glasses will be provided. Seating is limited for Totality so it is recommended that you purchase tickets in advance. Tickets can be purchased here or at the front counter at the Science Center. For any questions feel free to call us at 903-510-2312.